Amy Rubenstein is the Artistic Director and co-founder of Windy City Playhouse. Since the theater’s premiere in March 2015, she has overseen 11 mainstage productions, including the recent smash hit, world premiere SOUTHERN GOTHIC, of which she was also a co-creator. During her tenure, the Playhouse has been lauded for its uniquely contemporary approach that focuses on audience experience and has received numerous industry accolades, including 7 Joseph Jefferson Award nominations, 11 Chicago Theater Awards including the 2018 Trailblazer Award, and 3 International Centre for for Women Playwrights’ 50/50 Awards. 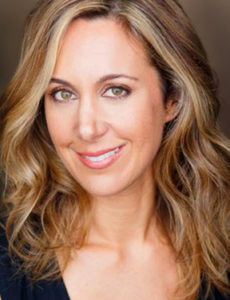 Prior to her current role at the Playhouse, Ms. Rubenstein’s credits include performing with Long Beach Playhouse, Human Race Theatre, and Center Stage Theater, among others. She is a proud graduate of Brandeis University.